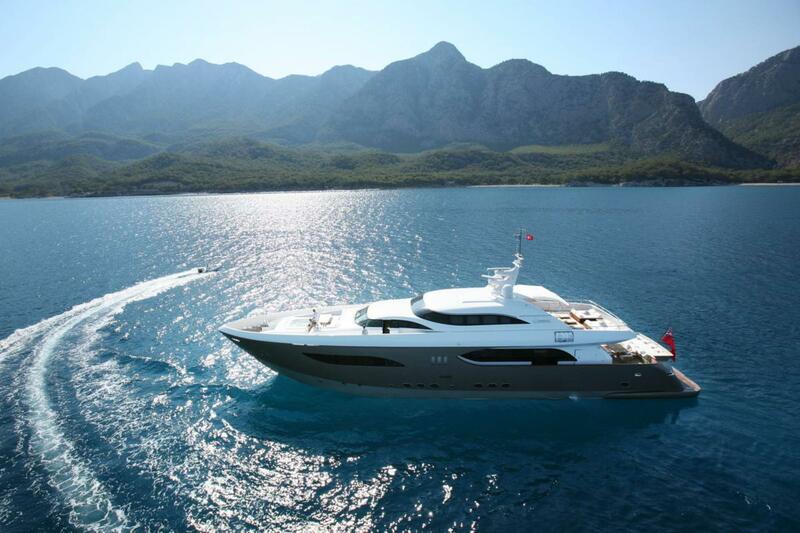 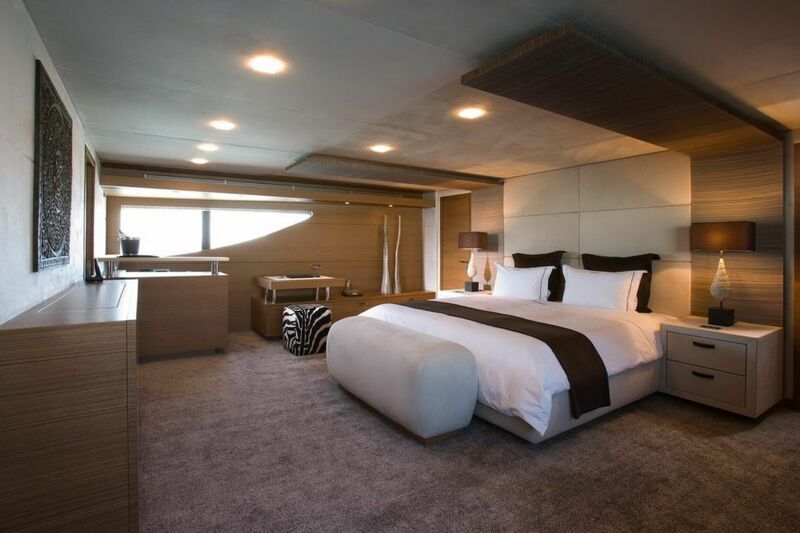 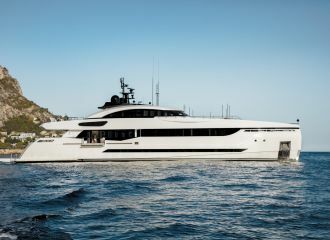 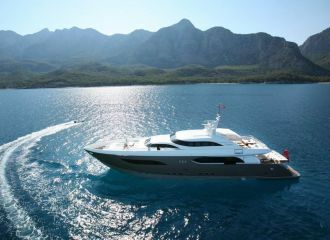 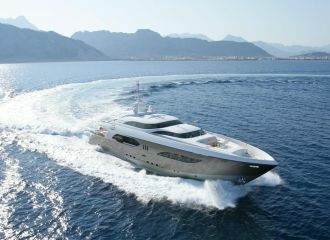 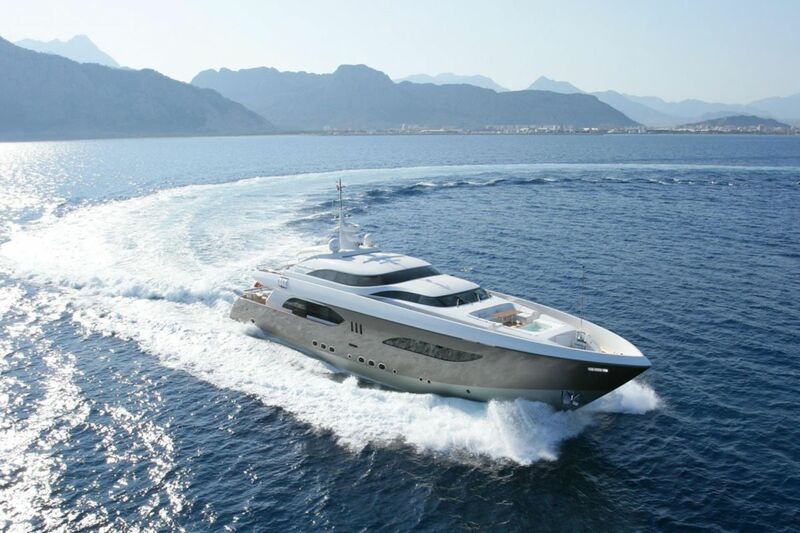 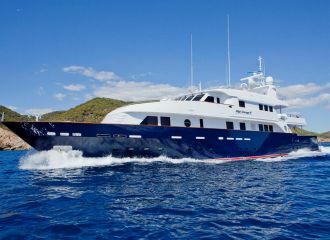 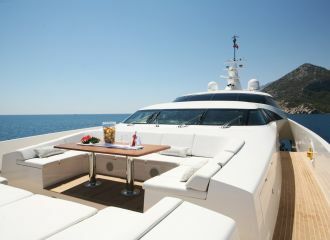 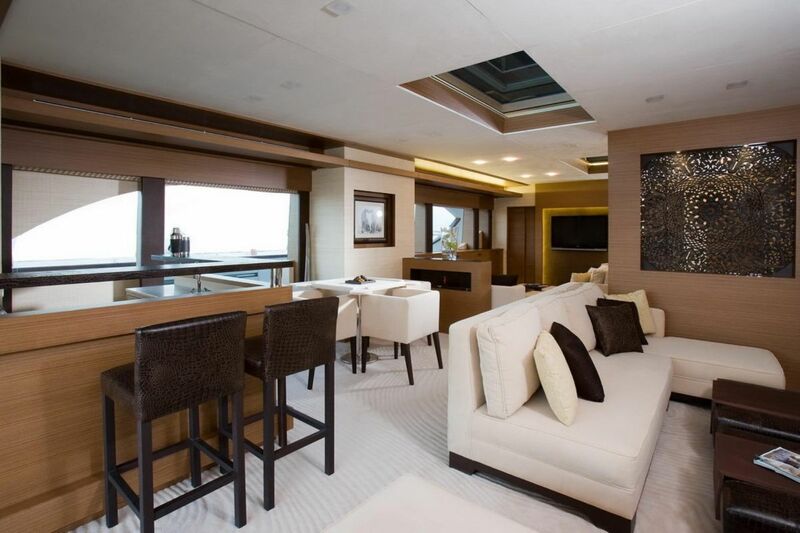 This Tamsen 40m yacht boasts deck areas and interior spaces which give the feeling of a much bigger yacht. 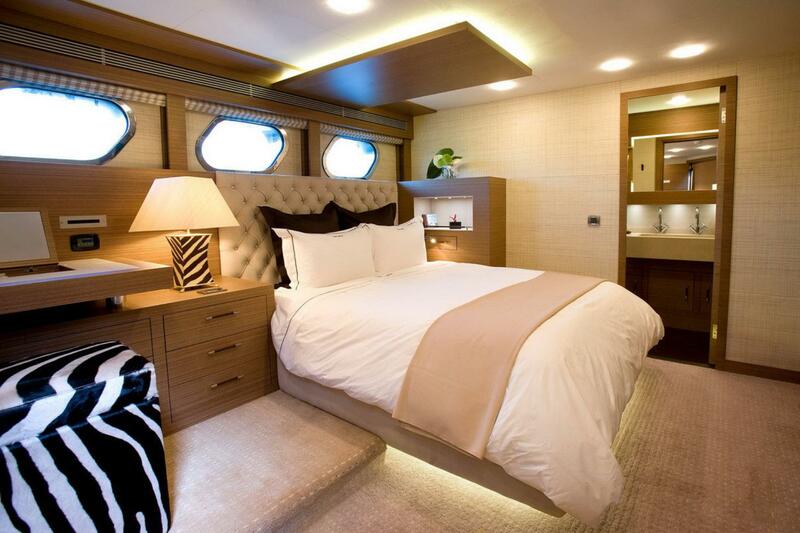 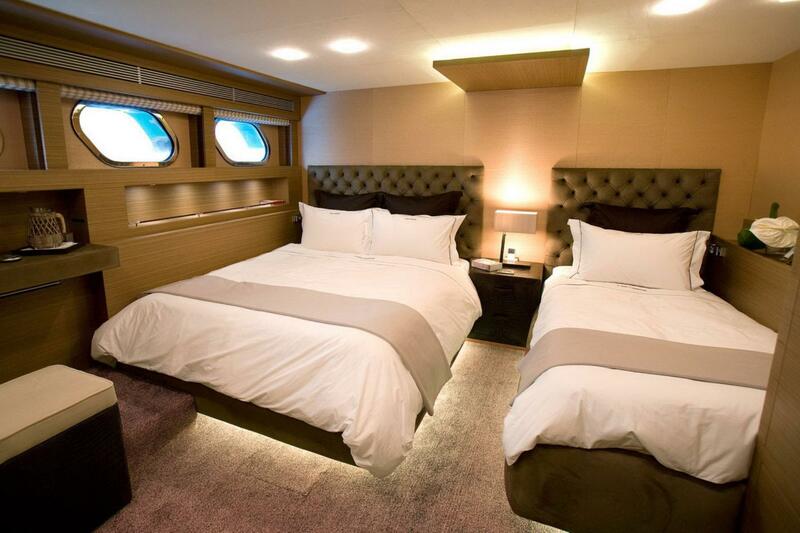 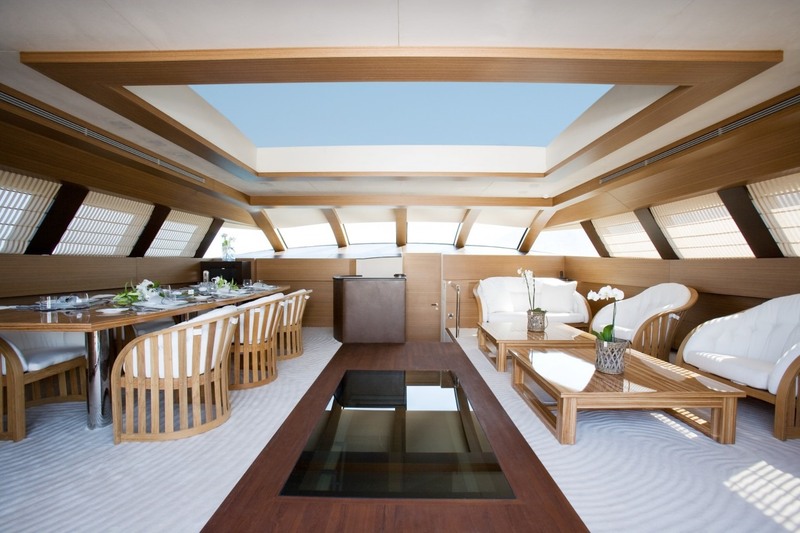 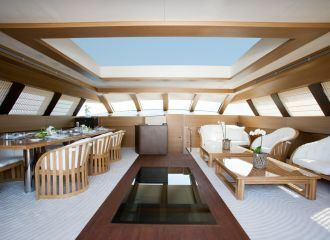 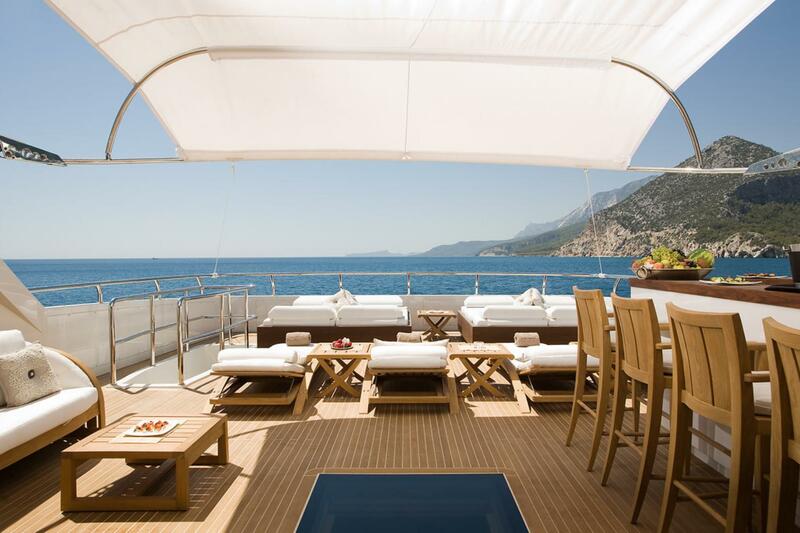 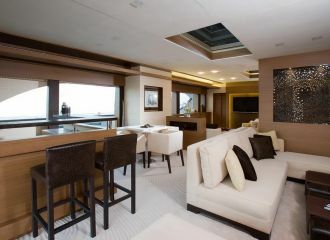 The foredeck is particularly enjoyable offering a comfortable lounging area as well as a dining table and a jacuzzi. The aft deck and the sundeck feature a choice of sunbathing, seating and dining areas, obviously fantastic for dining or sunbathing during the day. 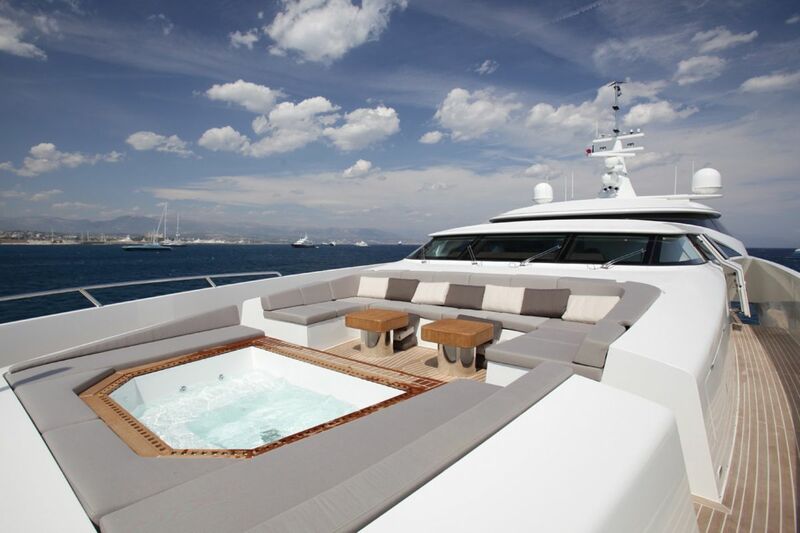 The skylounge features a large retractable sunroof which is highly appreciated by charterers. 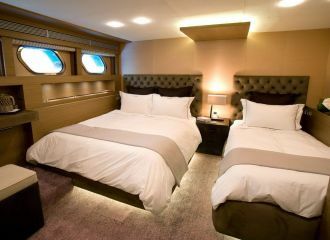 This Tamsen 40m offers accommodation for up to 12 guests in 5 cabins: 3 double and 2 triple (one double bed and one single bed). 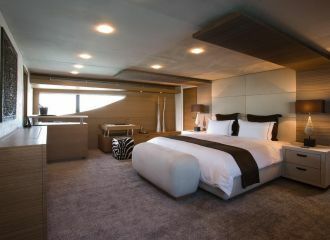 All cabins have en-suite facilities. 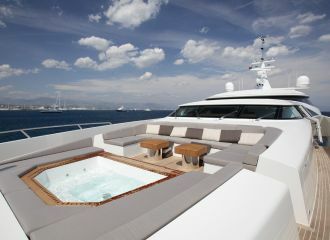 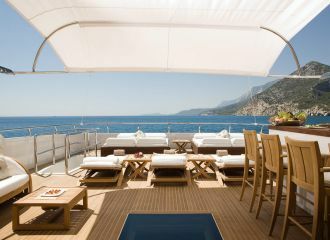 Currently offered for a south of France yacht rental. 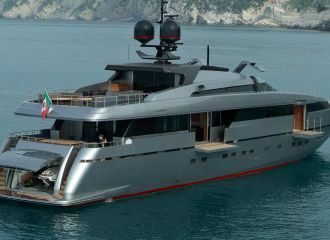 total 23100	€ Excluding VAT and APA ?